Want the best foods that prevent breast cancer? Yes, there are foods that can even help as a natural treatment for breast cancer to improve your treatment outcome. Broccoli and cabbage come out as super stars. 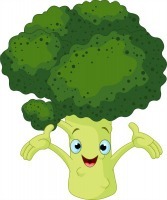 Broccoli can halt cancer growth, say scientists. Sulforaphane is released when the cell walls of plants containing the compound are broken by chewing. Singletary and Jackson gave sulforaphane to cultured human breast cancer cells. What they discovered was that within twenty-four hours it had significantly blocked cell division compared to controls. They found that it was disrupting the cells' micro tubules, which are necessary for the cancer to grow! "This is the first report to show how the naturally occurring plant chemical sulforaphane can BLOCK LATE STAGES of the cancer process by disrupting components of the cell called microtubules. We were surprised and pleased to find that sulforaphane could BLOCK the growth of breast cells that were already cancerous." "The findings may be helpful in the development of new breast cancer prevention and TREATMENT strategies," he suggested. "For example, taking sulforaphane with other natural compounds or drugs could enhance their anticancer effectiveness and reduce side effects." 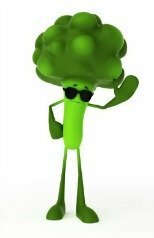 Broccoli sprouts are the richest source of sulforaphane, and would be the best bet for foods that prevent breast cancer. Best to add sulforaphane as natural treatment for breast cancer best outcome! You may ASK US for a recommendation for sulforaphane SUPER FOOD! Foods that Prevent Breast Cancer... A Broccoli A Day! Sulfur compounds to the rescue for anti cancer foods! Cervical cancer, colon cancer, lung cancer, prostate cancer, cancer of the tongue, and bone marrow cancer. You can eat these vegetables raw or stir-fried, and add cabbage -- raw as in coleslaw or fermented as in sauerkraut. In 1982, it was shown that a diet high in cabbage, Brussels sprouts, cauliflower, mustard greens, kale, lettuce, celery and tomatoes inhibits cancer. Cabbage and Brussels sprouts activate the liver’s phase I enzymes while broccoli activates the liver’s phase II enzymes, which may be the most crucial for breaking down hormones through the beneficial C-2 pathway. Savoy cabbage has twice as many active ingredients as white cabbage, but long-term cooking, especially boiling, reduces their benefits 34 to 44%. Chopping and fermenting the cabbage keeps its active ingredients and adds friendly bacteria to improve your immune system. Freezing or freeze-drying keeps the beneficial properties and stir-frying is the least damaging form of cooking. Especially add foods that prevent breast cancer if taking Tamoxifen or Herceptin. Tamoxifen is not a cure -- instead, it boosts long-term survival after diagnosis by about 25 per cent. Tamoxifen was clearly a big advance in treating effectively a certain subset of mammary tumors - that is, those that are hormone-receptor positive, and there, it was shown pretty quickly that Tamoxifen improved outcomes in women with very late-stage disease - incurable disease. Herceptin, approved in 1998, has opened the door to a new form of treatment for breast cancer - a biological therapy. Herceptin is an antibody that binds to a growth protein that is overproduced on some breast tumor cells. Up to 30 per cent of women with metastatic-breast-cancer make too much of this protein, HER-2/neu. Although Herceptin hasn't achieved Tamoxifen's results, it appears to be of some benefit when combined with chemotherapy. Also add Seaweeds to your breast cancer diet! Why? Seaweeds have been found to help treat hormone related breast cancer and colon cancer. Especially for hormone related cancers, the seaweed KELP has been shown to slow the disease! Best to also add foods that prevent breast cancer to help as breast cancer natural treatment. With these anti cancer foods your alternative cancer cure is well underway! ﻿Want the best natural treatment for breast cancer? Along with foods that prevent breast cancer, it is best to add sulforaphand and a proven immunotherapy protein for best odds! But you may not want to eat too much of these if you have thyroid problems. So if you are on a low thyroid treatment, you will want to add seaweeds as your best bet for an added breast cancer natural treatment. 1. PLoS One. Sulforaphane potentiates anticancer effects of doxorubicin and attenuates its cardiotoxicity in a breast cancer model. 2018 Mar 8;13(3):e0193918. doi: 10.1371/journal.pone.0193918. eCollection 2018. J Nutr Biochem. 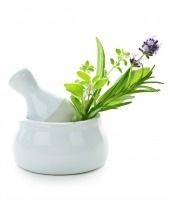 Regulation of estrogen receptor alpha expression in human breast cancer cells by sulforaphane. 2009 Mar;20(3):195-201. doi: 10.1016/j.jnutbio.2008.02.002. Epub 2008 Jul 7. Mol Cancer Ther. Sulforaphane induces cell type-specific apoptosis in human breast cancer cell lines. 2007 Mar;6(3):1013-21. Epub 2007 Mar 5. J Nutr. Sulforaphane inhibits human MCF-7 mammary cancer cell mitotic progression and tubulin polymerization. 2004 Sep;134(9):2229-36.